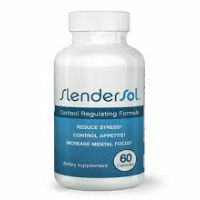 Slendersol Reviews: Does Slendersol Really Make a Difference in Your Weight? 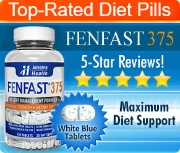 Slendersol is a nonprescription diet pill that has been designed to help dieters with their weight loss efforts in a way that is rather different from the typical strategies within this industry. 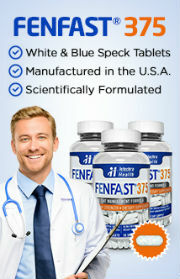 Instead of claiming to be a fat burner or an appetite suppressant, it is meant to help to control cortisol levels. Cortisol is what is commonly known as the stress hormone. That hormone is released into the body at times of anxiety or stress and is notorious for contributing to weight gain and for making fat more challenging to lose. Therefore, the idea that a product that is designed to control cortisol levels could assist with weight loss is not entirely out of the question. That said, Slendersol will only be of benefit to dieters if their struggles with weight loss are indeed related to the cortisol levels in their body and if it does actually provide the effects that it promises in its marketing. It is a good idea to speak to a doctor before starting the use of this product. Anything that could change the function of your body – including altering the way that hormones are produced or used – should be taken very seriously and should not be taken without first consulting with a licensed physician. Next, it is a good idea to look at the Slendersol formula to actually determine whether or not there is a chance that this product could have the effect that it promises. At the time of the writing of this review, the official webpage for this product listed its ingredients as: hoodia cactus, theobromine, green tea, magnolia bark, caffeine/guarana, glucomannan, bitter orange, and banaba. The first thing that should stand out in that formula is that absolutely none of those ingredients are linked to a reduction in stress or cortisol in any way. The magnolia bark has been used in traditional medicines as a calming agent and is sometimes seen in sleep aids. However, any mild impact that this could have would be offset by the powerful stimulants that make up this product. The synephrine in the bitter orange and the caffeine in the guarana and green tea are far more likely to cause anxiety, tremors, and headaches than the magnolia bark is to calm the user down. In fact, the combination of caffeine and synephrine is so powerful that the FDA has released a warning to consumers not to take products that contain that combination as it increases the risk of stroke and cardiovascular events such as heart attack.